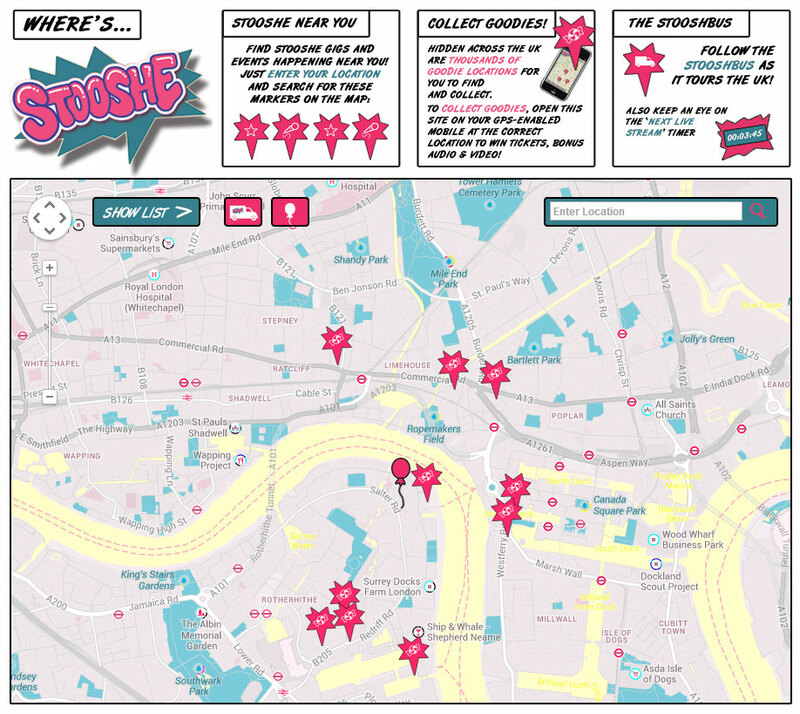 In 2011, I helped build a cross platform geo-cached ‘game’ for Warner Music’s band Stooshe. 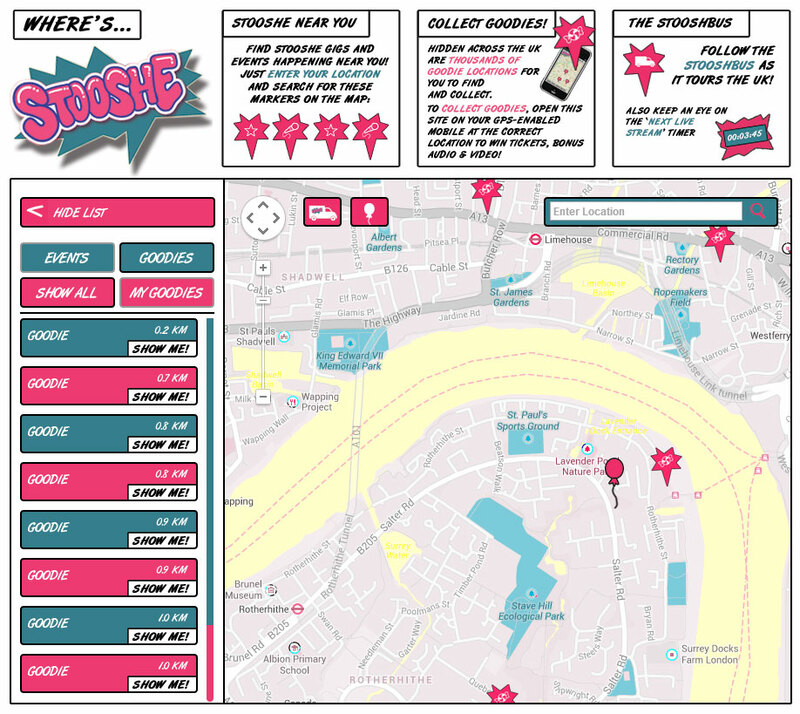 The game allowed fans to travel around the UK with the mobile web app on their phone collecting virtual geo-cached ‘goodies’ (exclusive videos, wallpapers, tracks) by physically approaching locations on the map. It also allowed them to track the bands bus’s location on the map live, locate nearby Stooshe gigs and other events as well. There was also a Ustream timer counting down to the band’s next live stream. I built the backend server and CMS, allowing the Warner Music admin to control the placement of the goodies, the goodies contents, times of gigs, and to set the band’s live tracking status. 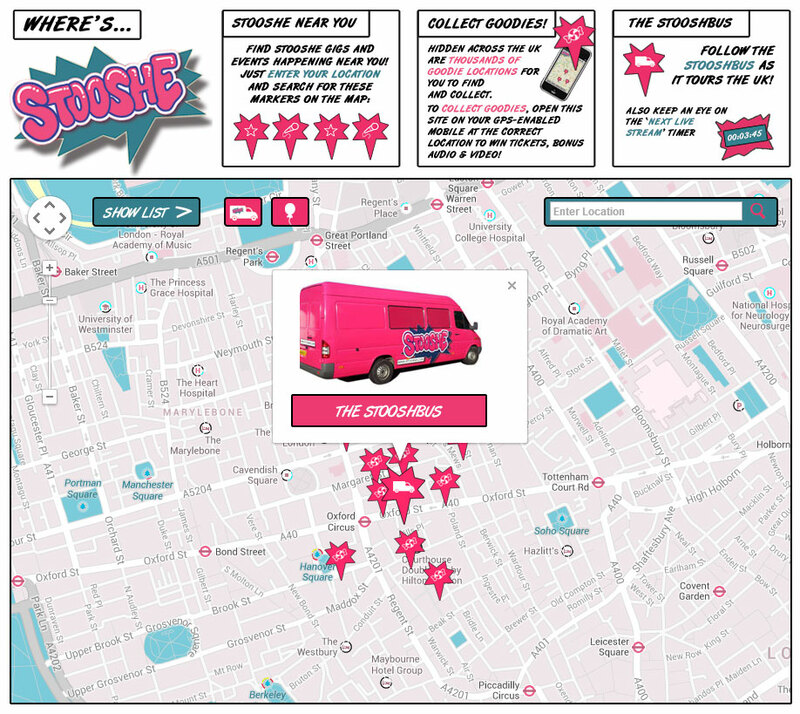 The system had to handle a vast amount of data with over 21,000+ visitable goodie locations around the UK. Where’s Stooshe was a Mobile App, a Facebook app, and a Desktop site.